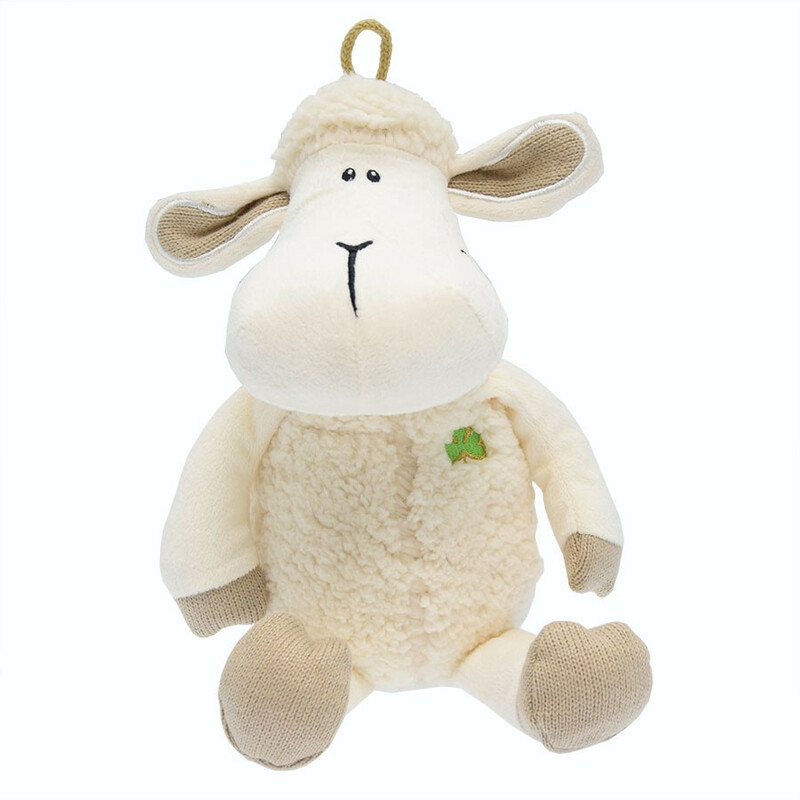 Very soft, this cuddly sheep has several textures. Its belly and its head reminds of the soft sheep's wool. The rest of the body, leaner, is also very soft. The flexible legs allow to seat the sheep. The clover on its heart is a reminder of Ireland's symbol. Suitable to children from birth.